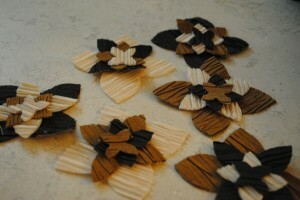 I guess I am on a flower making spree! These flowers were also made using fabric found at FabMo. 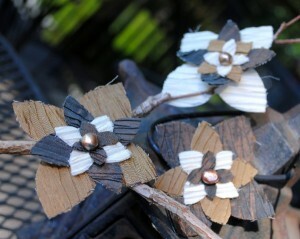 I thought that the coordinating pleated fabric added a nice texture and the center small pearl adds a nice shine. 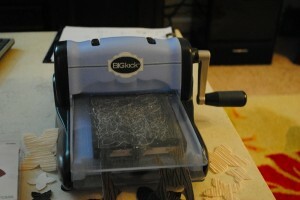 This pattern also uses a Sizzix Big Kick, but I used the “Fabric Layers #2” die. 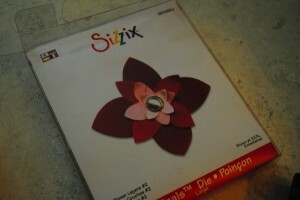 You can also cut out a similar flower by hand. 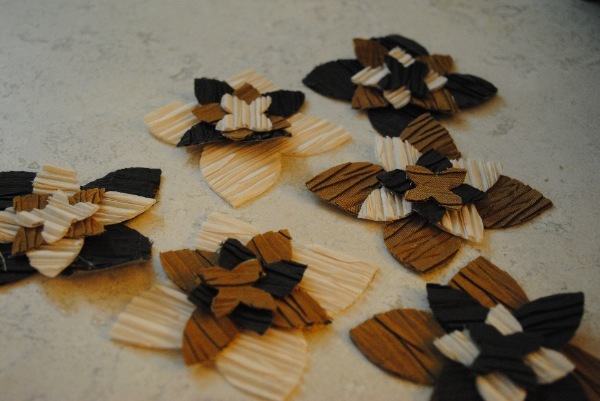 1) Cut out your flower petals. This machine is turned by hand and cuts the fabric using the die sandwiched between two pieces of acrylic. 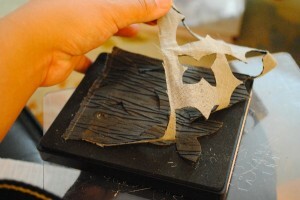 2) Lay out your petals how you want them and sew them together. NOTE: On my machine, I chose a buttonhole stitch so that the stitch would just be right in the middle. 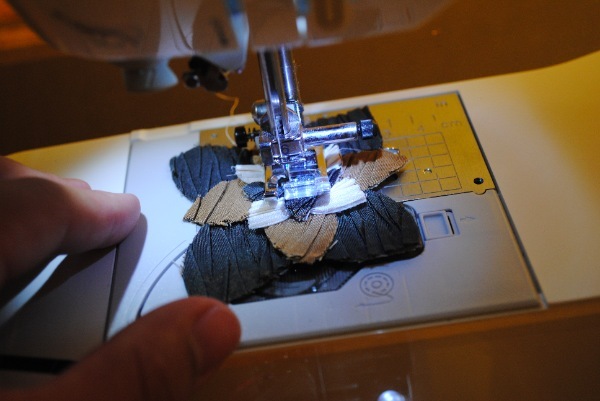 You can also glue the fabric pieces together, but I think the sewing holds a little bit better on the fabric. 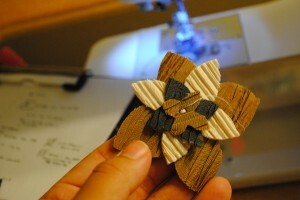 3) Sew in or glue your center bead/button and you are finished!